Those stiff hairs on your cat’s face and legs don’t just add to her cuteness — they have real work to do. Whiskers are GPS and radar systems for your cat.“They are a powerful and important part of how a cat senses the world,” says W. Mark Cousins, DVM, the founder of a veterinary clinic in New Orleans. Each thick whisker is filled with tiny, supersensitive nerves that help your cat judge distance and space. It’s how she makes decisions like: Is this box too small to get inside? How far do I need to jump to reach that counter? It’s also how she detects what’s around her. “Cats that are blind can navigate rooms very well by just walking around and letting their whiskers get a sense of where they are spatially,” Cousins says. 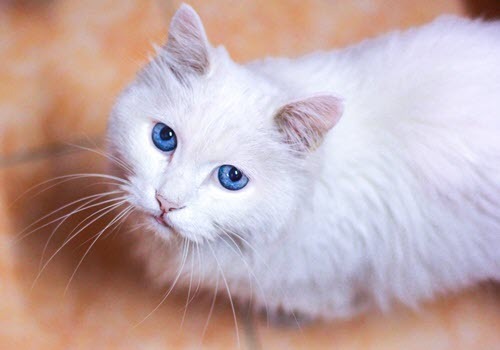 The follicles — the sacs that hold the hairs — are deep, with lots of nerve endings that send messages to the cat’s brain. There’s also a sensory organ at the tip of each whisker. It picks up vibrations in the environment that help the cat sense where she is and what other creatures are around her. Most whiskers are rooted in the thick pads on the upper lip, but smaller sets are in the eyebrow area, along the chin, and near the feet. The ones on the sides of the nose are the same width as your cat’s body; they help her figure out whether a space is wide enough to squeeze through.Whiskers on the back of the legs help your cat climb trees. A complex set of muscles on the face moves whiskers back and forth. The way a cat arranges them will tell another animal — or us humans — how she’s feeling. When a cat is relaxed, her whiskers will remain still, sticking straight out from the side of her head. If she is curious or is on the hunt, she’ll press them slightly forward. Cats that are nervous or upset will pin the whiskers back toward the face. Like other hairs on a cat’s body, whiskers shed. That’s normal. But you should never trim them. A cat with cut whiskers will become disoriented and scared. “If you cut them, that’s like blindfolding someone, taking away one of their ways of identifying what’s in their environment,” says veterinarian Jane Brunt.